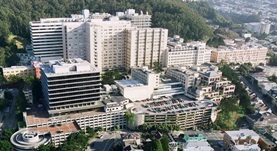 Dr. I-Chow Hsu graduated the medical shool from the John Hopkins University. He did his internship at the Arrowhead Regional Medical Center and completed his residency program at the New York Presbyterian Hospital. He is specialized in Radiation Oncology and board certified in Diagnostic Radiology and Radiation Oncology. 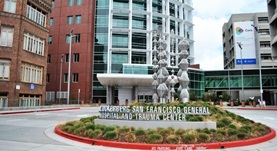 Dr. Hsu has been in practice for more 20 years and is affiliated with the UCSF Medical Center and San Francisco General Hospital and Trauma Center. During his career, he has also contributed to various publications of medical interest. Dr. I-Chow Hsu has contributed to 3 publications. Post-operative Radiation Therapy for Patients at High-risk of Recurrence after Radical Prostatectomy: Does Timing Matter? Hsu, C. C.,Paciorek, A. T.,Cooperberg, M. R.,Roach, M.,Hsu, I. C.,Carroll, P. R.; BJU Int.. 2015 Jan 21. Bladder wall recurrence of prostate cancer after high-dose-rate brachytherapy. Raleigh, D. R.,Hsu, I.,Braunstein, S.,Chang, A. J.,Simko, J. P.,Roach, M.; Brachytherapy. 2014 Dec 24.